When you think of summer, what do you think about? I think about long lake days and sunglasses. Flip flops and sunscreen. Watermelon and hot dogs. Yes, hot dogs. And America staple during the summer months, at least in our house. But what about those of you looking for a yummy, non-GMO, vegan option? Lightlife Smart Dogs are certified vegan and non-GMO project verified. They are America's #! meatless hot dog, are plant-based, and grill ready. Smart Dogs have 7 grams of protein and only 50 calories per link, while Jumbo Smart Dogs have 13 grams of protein and only 100 calories per link. All Lightlife products are refrigerated fresh, and can be found in the produce, dairy, or natural section of your grocery store. I decided to drop by my local Kroger and found them in the natural foods section. 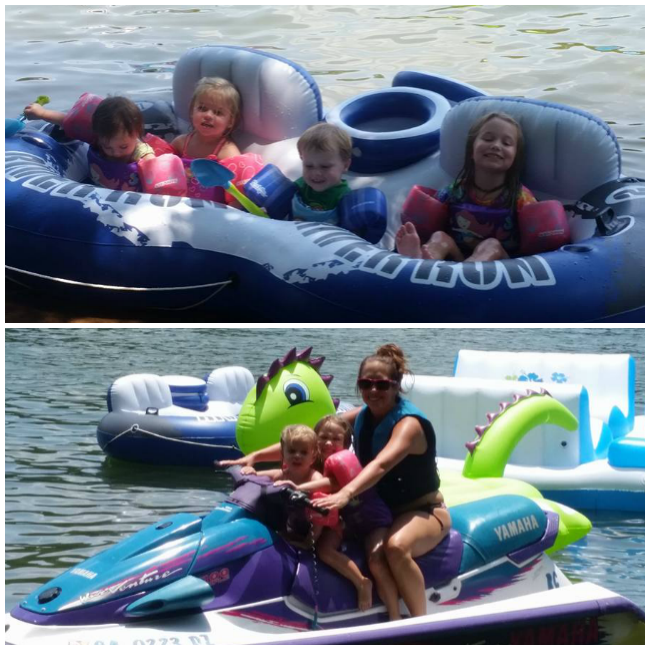 I decided to bring a pack of Lightlife Smart Dogs to the lake over 4th of July weekend. My daughter and her cousins could NOT tell the difference between a regular hot dog. So these are plus for me to get some more veggies in to my daughter's diet. Welcome to the Keeping Cool in the Sun Giveaway Hop hosted by Lindsey Blogs and Viva Veltoro. It’s HOT HOT HOT outside, but we’re joining a group of bloggers are ready to keep you cool in the sun with amazing giveaways all valued at $20 or more. 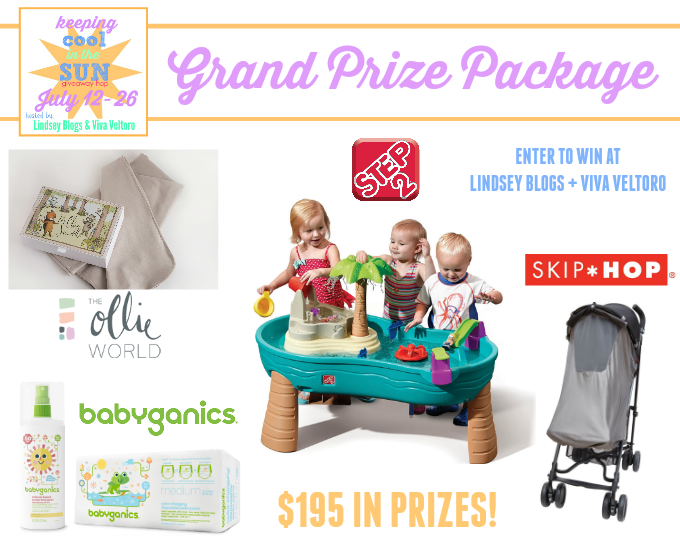 Be sure to hop around to them all and don’t miss the amazing Grand Prize from our hosts! I received this product for free from the sponsor of the Moms Meet program, May Media Group LLC, who received it directly from the manufacturer. As a Moms Meet blogger, I agree to use this product and post my opinion on my blog. My opinions do not necessarily reflect the opinions of May Media Group LLC or the manufacturer of this product. Nanny to Mommy, So Easy Being Green, Viva Veltoro, and the Keeping Cool in the Sun participating bloggers are not responsible for sponsors who do not fulfill prize obligations. Facebook, Twitter, Pinterest and any other social media are not affiliated with this giveaway. This giveaway is open to US only, must be 18+ to enter. Cannot be shipped to P.O. boxes. One entry per household/IP address. No social media was involved in this giveaway in any way. Winner is chosen via Random.org through Rafflecopter. ALL winning entries ARE verified. Winner will have 48 hours to respond with all information in email or another winner will be chosen. If you would like to see your product featured on our blog or sponsor a giveaway event, please contact us. CHORIZO! Yay! As a Tex Mex lover, chorizo is one of the things missing as we try to eat mostly (but not completely) vegetarian. I am very glad to know about Lightlife as I did not know about them. 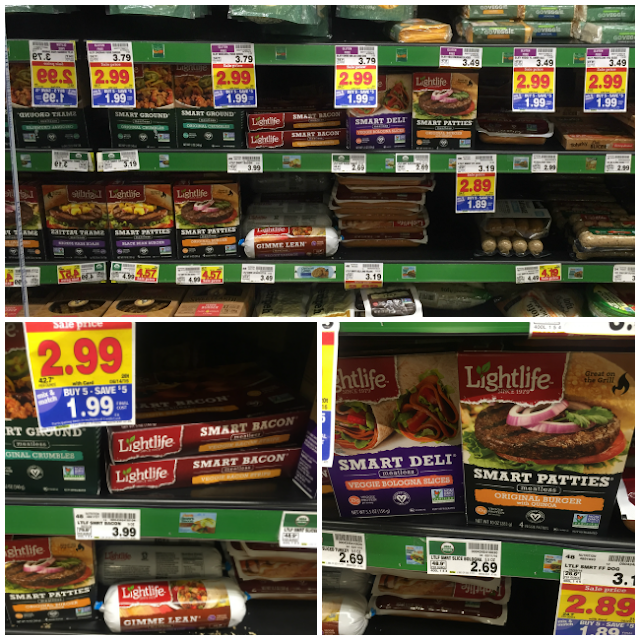 I use Lightlife's tempeh all the time but I'd love to try the Fakin' Bacon and the Smart Burgers! I'd like to try the Italian Sausage in my pasta sauce! I would love to try their chorizo smart sausage!! Love Chorizo!! I would like to try the Italian Sausage because that is my husband's favorite. I would love to try the SMART CUTLETS ORIGINAL. This looks tasty, but all the products look great to try. I would like to try the Smart Sausages Italian—thanks for the chance to win some of these products! I'd like to try the Italian Sausage in my spaghetti sauce. I love their tempeh, but I have not tried the Organic Fakin' Bacon Tempeh Strips. I would like to try the Smart Sausages Chorizo first and foremost.